I don't know about you, but every day this week has seemed like it was Friday! Something about the summertime and not constantly checking the calendar for assignment due dates has me all confused. Anyway, this week was the perfect balance between work and fun, and I'm finally starting to settle into a summer routine. I absolutely love both of my jobs (one at a stationery store and one at a new preppy clothing store) so going to work every day is something I look forward to rather than dread. Rather than staying out super late, I've been trying to balance hanging out with friends and getting blogging/ college stuff done as well as sleeping enough every night. So far it's working out well! If you ever come to Milwaukee, one of the most popular restaurants everyone raves about is Belair on Downer. 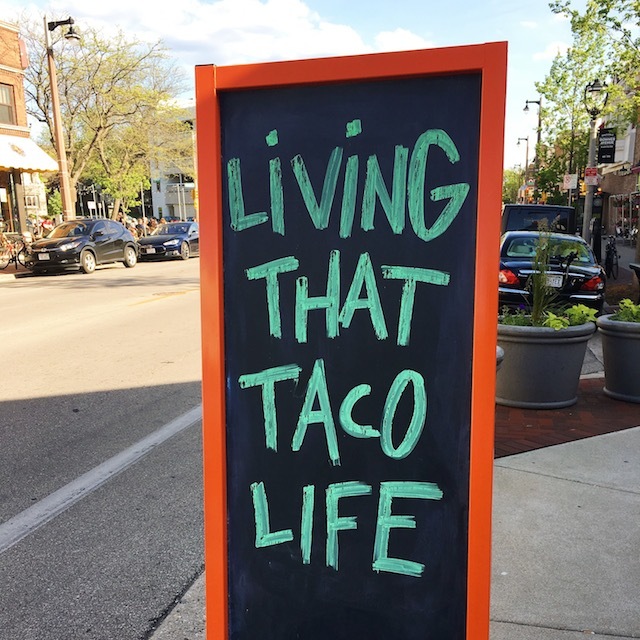 It has the most amazing Mexican food and every Tuesday and Thursday night they have specials for $2 tacos (perfect for high school and college kids on budgets!). The weather was amazing yesterday so my friends and I went for an outdoor dinner on the patio and wow was it delicious! Going off my little Mexican food infatuation above, I have been really into finding "trendy" (lol), new-to-me restaurants all over the city. Usually, once I find a restaurant I love (ex. Cafe Corazon like in this picture), I eat there over and over and never try anything else. Although it's fun to return my favorite spots, I am hesitant to try new places! It freaks me out that I'll be leaving for college in less than three months and that I've barely explored some parts of Milwaukee! Needless to say, this summer I will be trying out tons of new cafes and restaurants as well as adventuring to places of town I have never been to. Working at a brand new preppy clothing store in my neighborhood has been so much fun because it's a lot different than working at a paper store, and new things are always thrown my way that will really prepare me for a future in the retail world. Last weekend my friend Tommy and I were asked to model for the store with some other employees and we all had such a blast wearing different outfits for a shoot in the park. 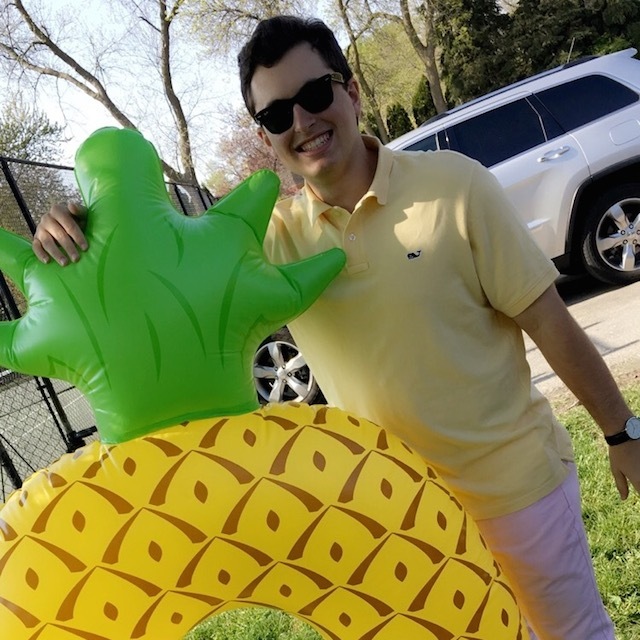 There were a ton of giant pool floats (how freaking cute is the pineapple?!) and it was hilarious pretending we were in a Vineyard Vines catalogue or something! 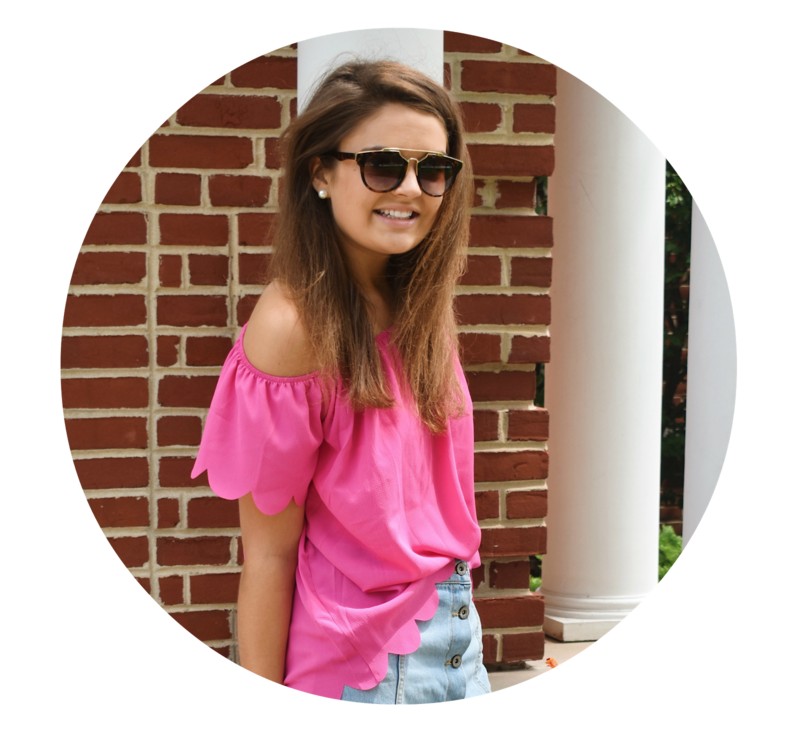 I'll be back Tuesday with a fun outfit post with a dupe to a popular tassel cover up - get excited!